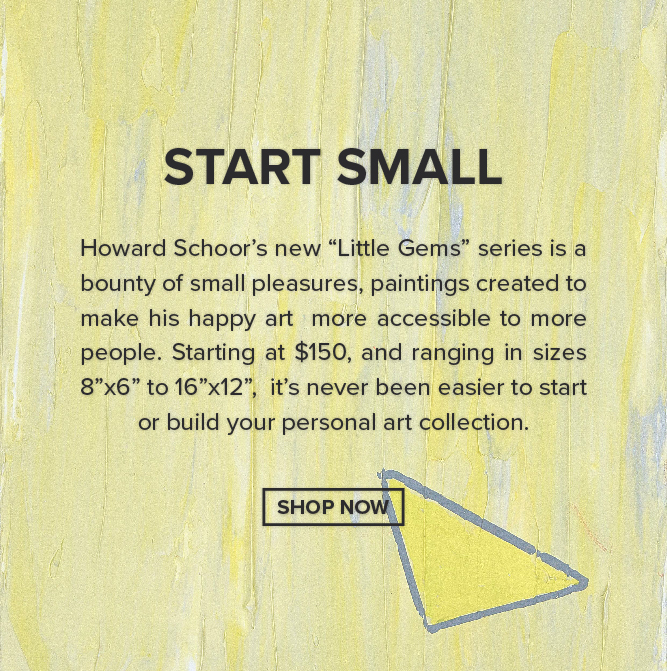 Welcome to Howard Schoor Art. Remember being a kid? We didn’t analyze. We enjoyed colors and shapes without expectation. Bright, colorful art made us happy and that was enough. This is happy art. Bring a little more happiness into your life, today. You can’t have enough.